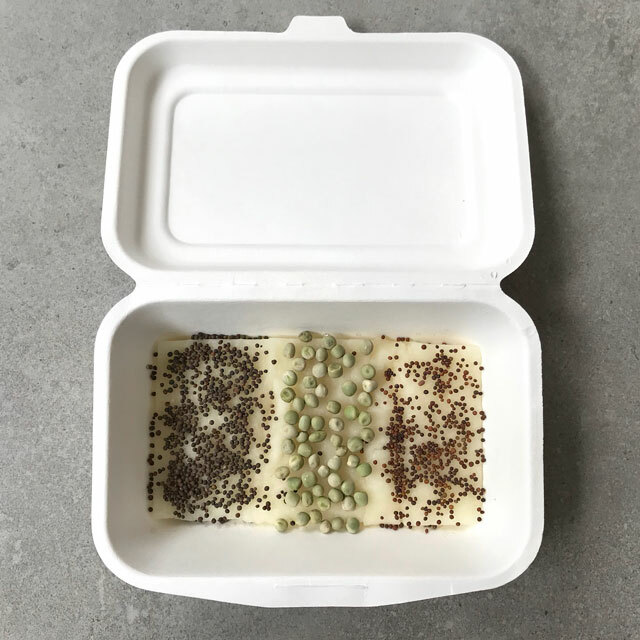 Thank you for buying an InstaGreen Home Grow kit with Microgreens! 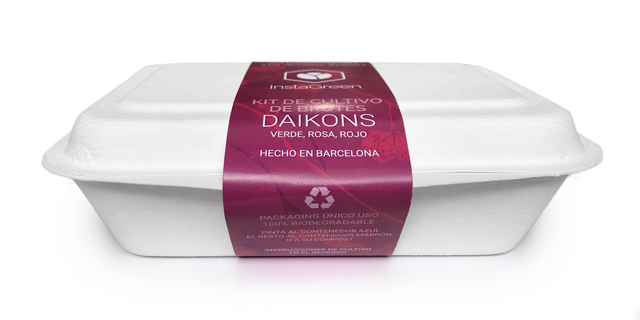 They contain eco seeds and have a 100% biodegradable packaging. 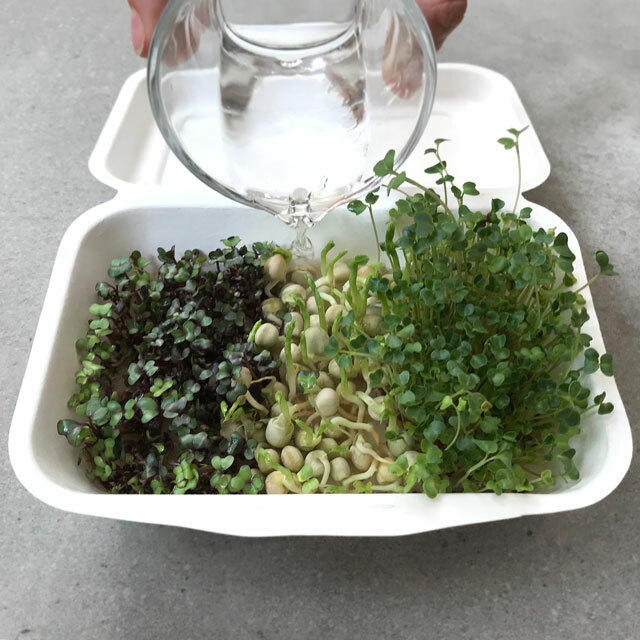 Follow these instructions and you will have 3 delicious types of microgreens within a couple of days. No green fingers required! Healthy and mild tasting microgreens for the entire family. Powerfull radish taste and colourful microgreens. Spicy and tasty microgreens to create surprising dishes. 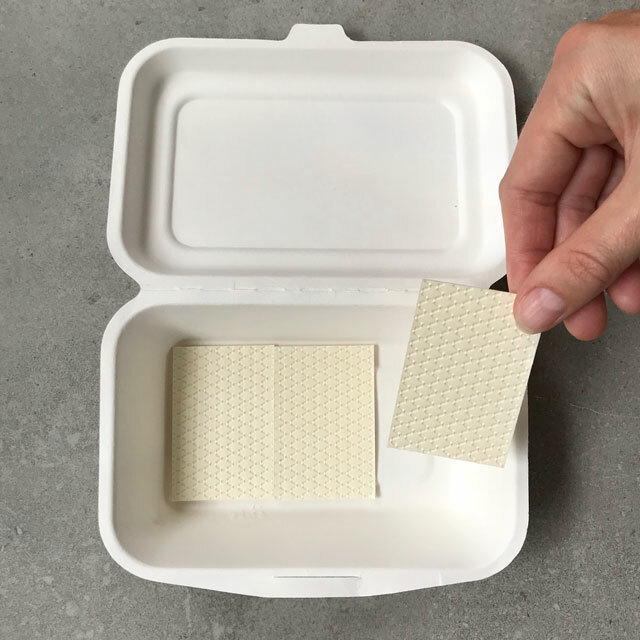 Put the 3 cellulose mats tightly together in the biodegradable container. Add about half a glass or a cup of water. 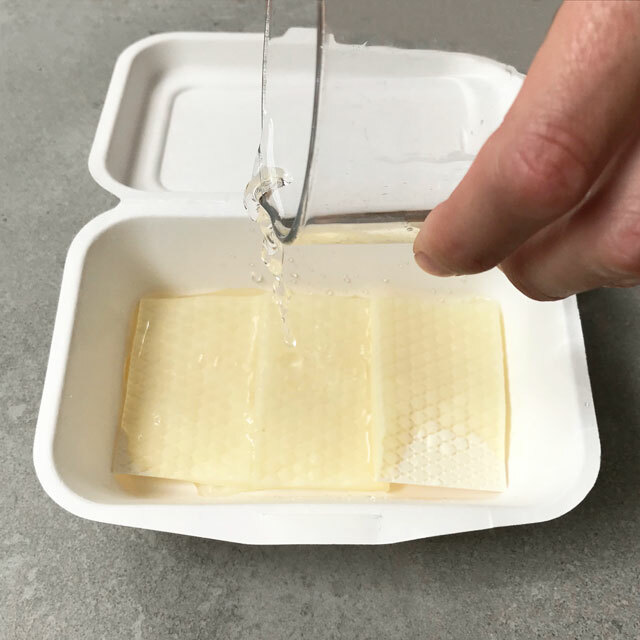 The celullose will absorb the water like a sponge. You’ve added enough water when the celullose is a bit shiny and doesn’t show patterns any more. Empty all 3 bags on the wet cellulose. Spread the seeds evenly over the surface. Close the lid for about 2-3 days. This puts the seeds in the dark and will allow them to grow. Add about half a cup of water every day. After about 6-10 days the microgreens will be ready. 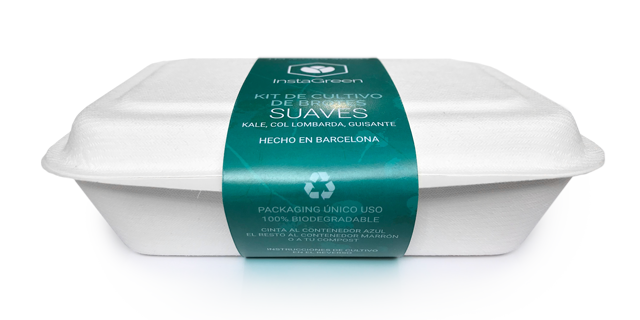 They will have leaves and are packed full of healthy nutrients. 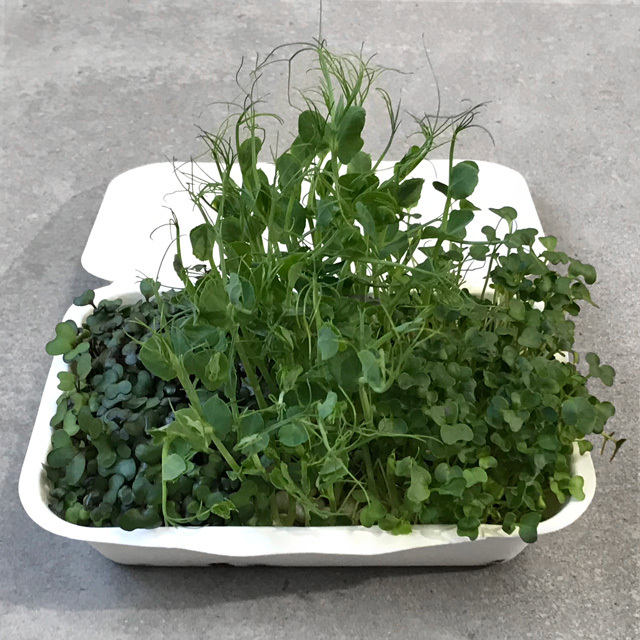 Cut off the microgreens that you’d like to eat, and enjoy! 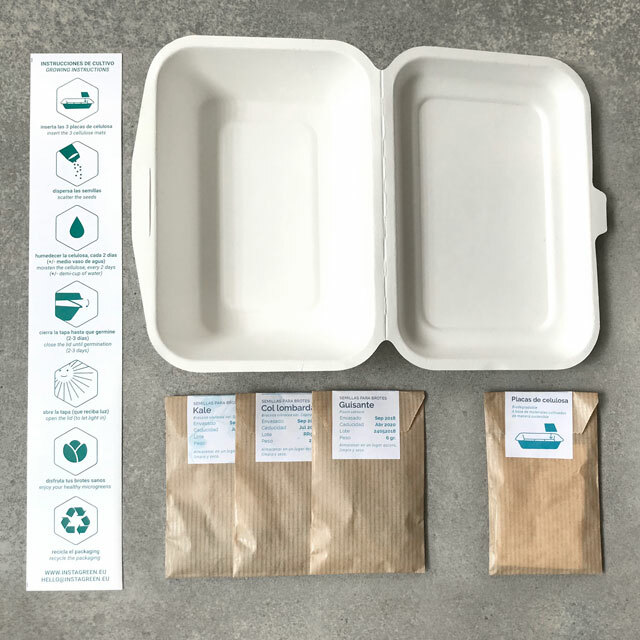 The Home Grow Kit is single use and 100% biodegradable. 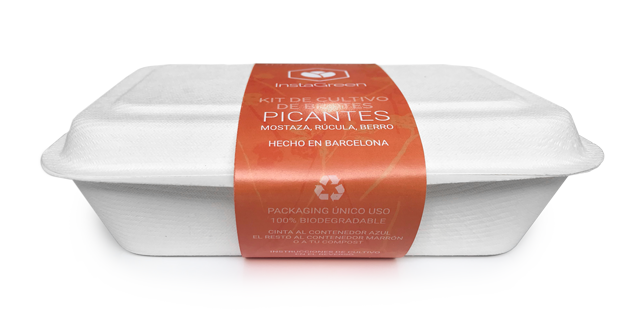 Please dispose the packaging in the organic container or compost. 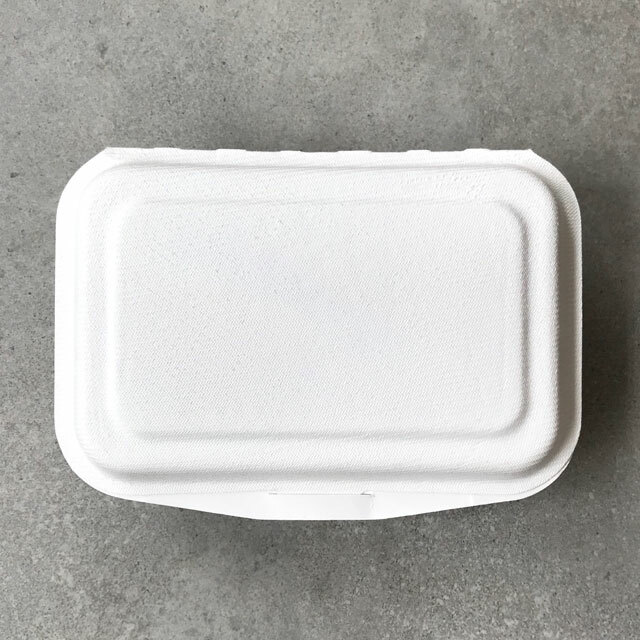 The paper bags and ribbon should be disposed in the paper container. Thank you for making the world a cleaner place! 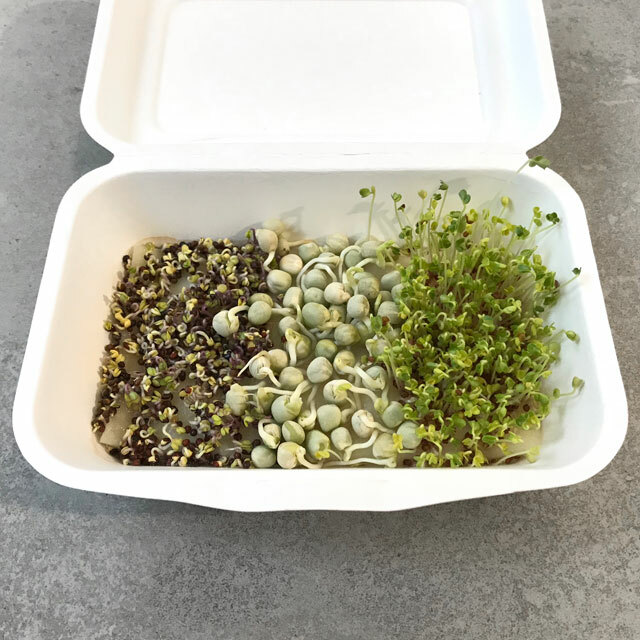 Want to know more about microgreens?